For years I’ve been using an old Velbon tripod (let’s call it vintage, that way it isn’t just old but also cool). I’ve inherited this tripod from the seventies (1979), and have never thought about replacing it for a newer tripod. 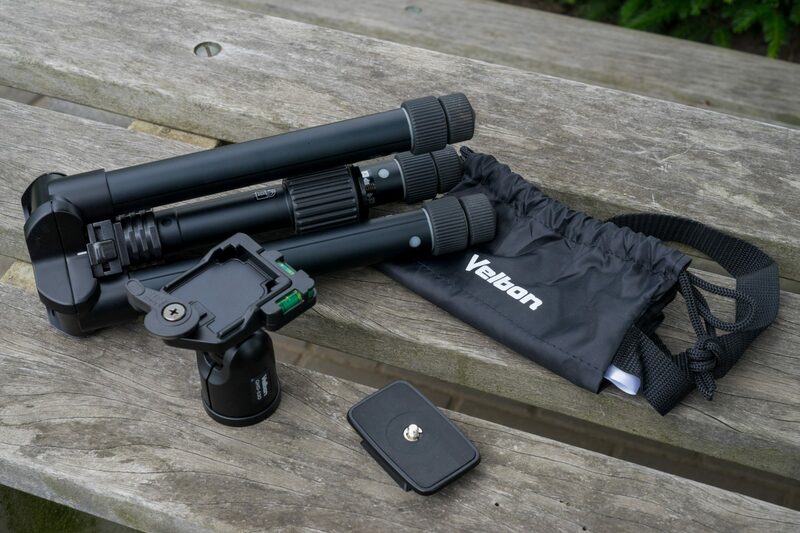 The old Velbon is indestructible and a tripod is a simple metal piece of equipment to mount your camera. Really, how much could they develop and improve on a simple piece of equipment like a tripod? 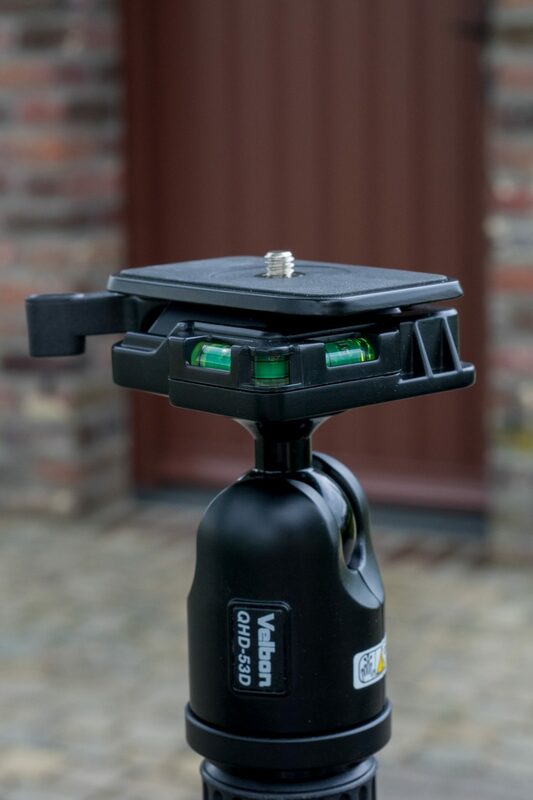 Well, at Degreef & Partner (the Dutch importer for Velbon and several other brands of camera accessories, check their website for more information: www.degreef-partner.nl) they thought it was time to teach me something about modern tripods and sent me on my way with the Velbon UT53D. 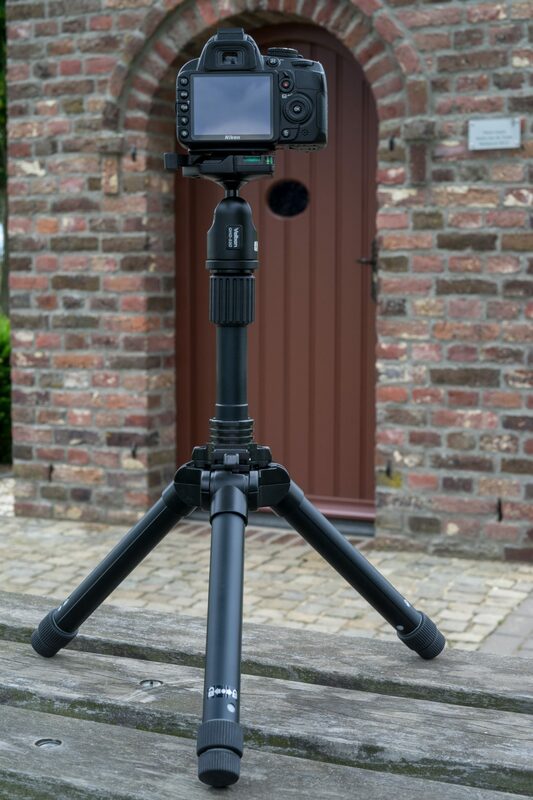 The UT53D is part of the UT or Ultrek series of Velbon which consists of small and lightweight travel tripods that offer the stability and functionality of full size tripods. The Velbon UT53D weighs less than 1,4 kilograms (just over 3 lb) and can be used with cameras up to 4 kilograms (8.8 lb). With these specs you can use it with most cameras with midsized tele lenses. 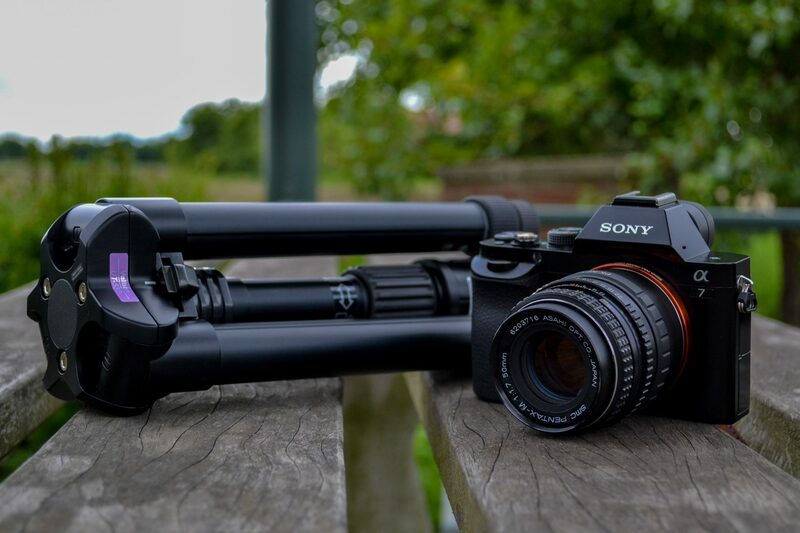 With just 1.4 kilograms this truly is a lightweight tripod. Velbon has been able to keep the weight down by using mostly aluminium parts. The legs have 6 sections with a maximum diameter of 27 mm. The legs use a twist-lock system, where you lock and unlock the legs by using a twisting motion. This works very fast and easy. In one simple motion you unlock the legs and adjust them to the desired length and lock them again. This is a lot quicker than the locking levers I was used to with my old tripod. This also works very fast because you only have to unlock the legs in two places, and you can lock them by just twisting the one on the end. You can adjust the angle of the legs in three angles, 25, 45 or 75 degrees. Every leg has got its own lever to choose the desired angle. Because of this you can adjust the angle of each leg individually, so it easy to find the desired setting for each situation. What impressed me the most is small the UT53D becomes when you fully retract it. Retracted and folded it is just 30 centimetres long, so it will fit about any (back-)pack. Folded it is even too small to fit in the tripod holder on my Tenba bag, but with the small size it does fit in to one of the side pockets without a problem. 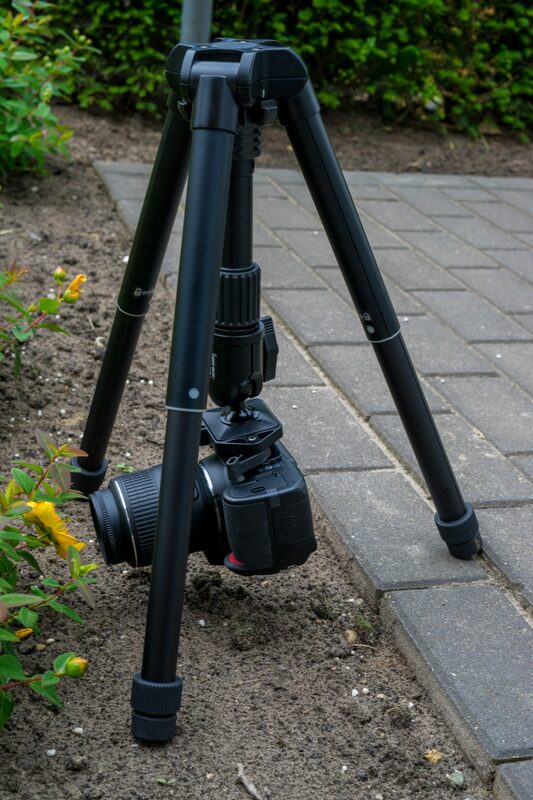 This tripod is able to fold down this small because the legs can be folded 180 degrees up, parallel to the centre column. 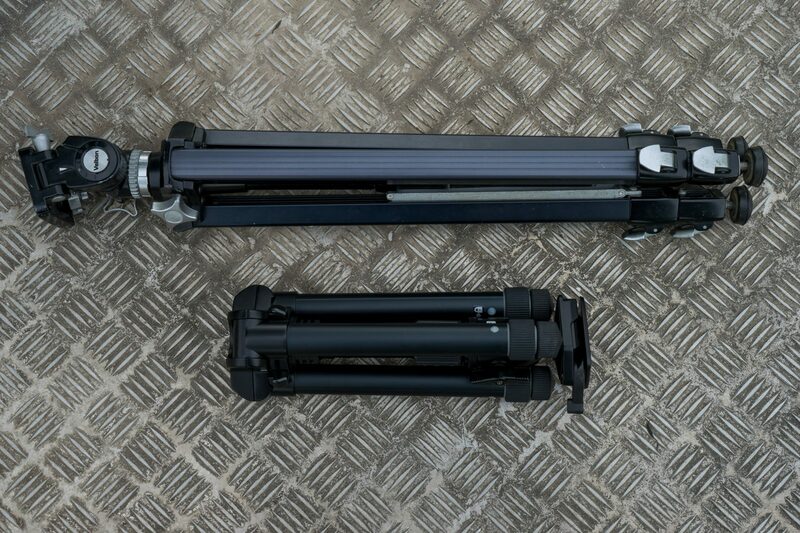 Most other tripods aren’t that flexible, so they are two times as long. 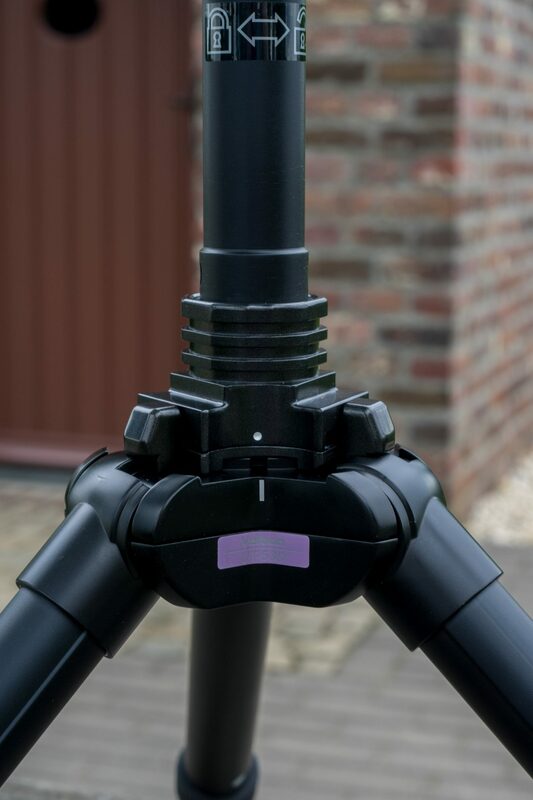 Despite the small size when folded the UT53D does give you a maximal working height of 155 centimetres (5 feet) (139 centimetres when you don’t extend the centre column), which is high enough to use the camera on eye level for most people. You may get some people looking funny at you when you are extending this small tripod on the streets as it increases in length 5 times! The official lowest working height is 35 centimetres, which is okay for macro work. But with a little creativity it is possible to use it even lower. You can lay the legs down on the ground, or even better is attaching your camera upside down. You can’t lock the legs when you do that, but it still works very well. The UT53D comes with the Velbon QHD53D ball and socket head. This uses a quick-release plate to attach to the camera. The quick-release plate is mounted to the camera with a screw with a foldable finger tab, so you don’t need tools to attach it to your camera. If you insert the quick-release plate in to the head it automatically locks, so you can attach you camera with just one hand. Unfortunately the head isn’t compatible with arca swiss, so you can’t use a standard arca swiss plate. The head itself has got three bubble levels to check if your camera is in the desired position. Of course you can use the head both in horizontal and vertical position. The head uses one screw to lock both the ball and the rotation of the head. That is a disadvantage is you want to shoot panorama photos, because that is easier when you can keep the head locked while keeping the rotation unlocked. Luckily you can still achieve that by unlocking the centre column and using that to achieve the 360 degrees rotation, but only with the column in the lowest position. If you need a more advanced head you can easily switch it out for another model. Besides the head Velbon also supplies the tripod with a nice bag to keep it in. My ‘vintage’ Velbon is indestructible and works perfect, even after all those years. But it does look a little silly when you compare the old one to the UT53D. Retracted the old tripod is twice the size of the UT53D, but extended the UT53D will give you an even higher maximum working height. The difference is even bigger when you look at the weight. The UT53D is just 1.4 kilograms, my old Velbon weighs over 3 kilograms. It is clear portability wasn’t the first priority designing the old tripod. 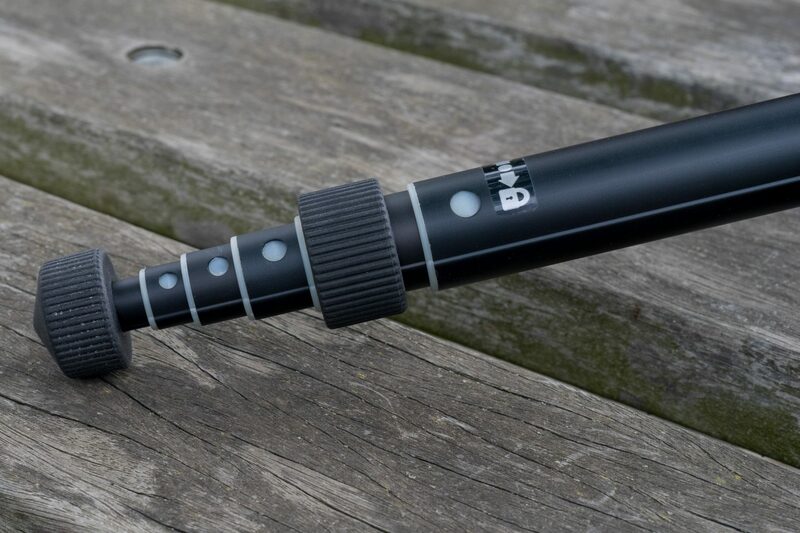 It is liberating to have a tripod that is this small and light, because of that I’ve been taking it with me almost every time it took my camera. I only took the old one when I went away with my car, and only if the shooting location was close where I could park. Taking it with you when you go hiking is a definite no-go. With the UT53D that isn’t a problem at all, just throw it in your backpack and you almost forget you have it with you. In daily use the UT53D impressed me. Despite the low weight the tripod is very stable, even with the legs fully extended. The legs have 6 sections and the last sections have a small diameter. Even though the last sections are small and there are a lot of connections the legs don’t just bend and keep their stability. The UT53D can handle my small and lightweight Sony A7 without a problem, whatever lens I use. Because of the light weight and small size the UT53D is a perfect match for a mirrorless camera, but because of the maximum load of 4 kilograms you can also use it with a bigger (DSLR) camera without a problem. 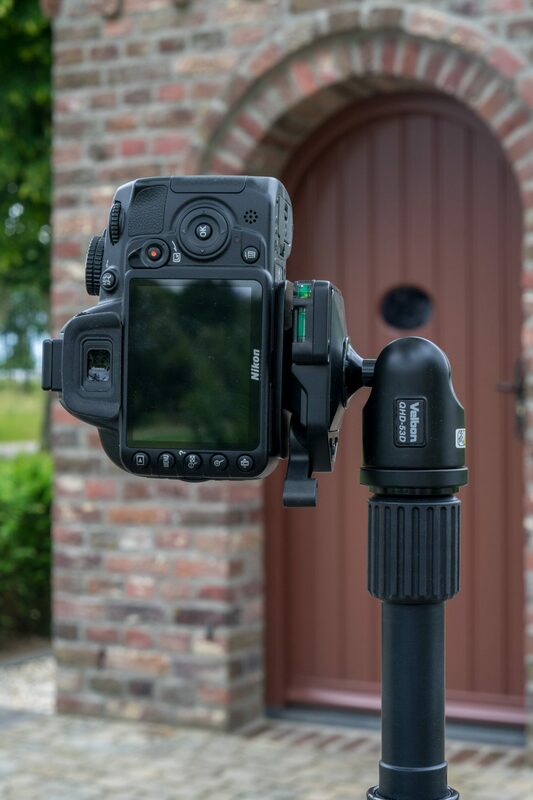 Because of that the UT53D is a perfect tripod for people who want to take it hiking or traveling. If you still have an old tripod like I do it is certainly worthwhile to see what a modern tripod has to offer over your old one.